On December 3, Kristin will appear on CBS to toast the 50th anniversary of the award-winning, The Carol Burnett Show, in a two-hour anniversary special. 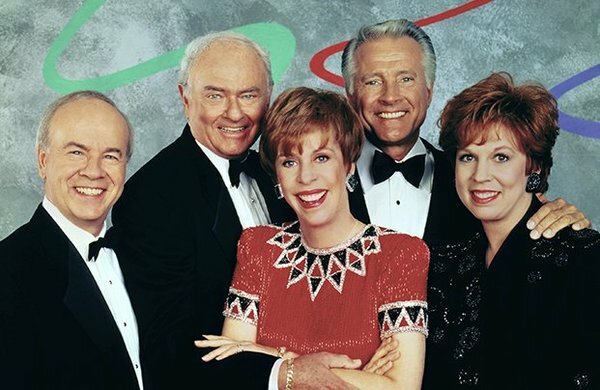 Filmed at Stage 33 at CBS Television City in Los Angeles, the original sound-stage for the show, the star-studded lineup will honor the impact of The Carol Burnett Show. Burnett will share her favorite memories and moments from the show's 276-episode tenure. Kristin will appear alongside Burnett herself, as well as Vicki Lawrence and Lyle Waggoner, original cast-members of The Carol Burnett Show. Jim Carrey, Stephen Colbert, Harry Connick Jr., Bill Hader, Jay Leno, Jane Lynch, Bernadette Peters, Maya Rudolph, Martin Short, and many others will be special guests on the show as well. Kristin and her incredible colleagues will be discussing how The Carol Burnett Show helped pave the way for and inspire their careers. Tune-in to watch the Special on December 3 from 8:00-10:00PM ET/PT on CBS.